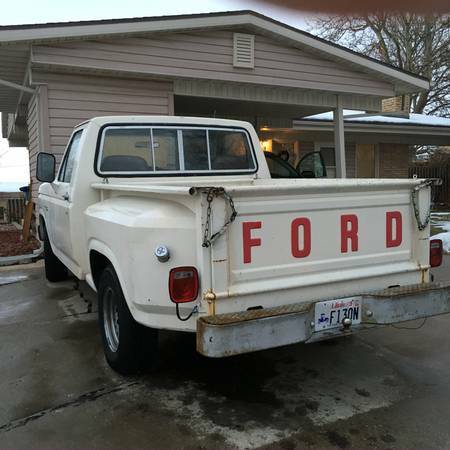 1981 Ford F100 White Step Side Pickup Truck - runs good, automatic transmission, body is in good condition, could use new seats but that’s just because I don’t like the color of them, does not have a working radio, heater runs year round and I don’t know why. My kids have been driving it back and forth to work and school. Has a newer battery (like 6 months ago or so). Just replaced the alternator and transmission.